The information presented on this page was originally released on July 23, 2010. It may not be outdated, but please search our site for more current information. If you plan to quote or reference this information in a publication, please check with the Extension specialist or author before proceeding. MISSISSIPPI STATE -- Mississippi forage producers are experiencing a major invasion of fall armyworms for the second consecutive year in pastures and hay fields across the state. 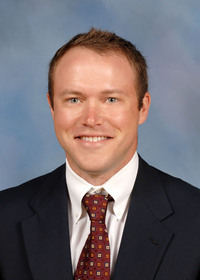 Blake Layton, a Mississippi State University Extension Service entomologist, said fall armyworm populations were unusually heavy last year with treatable populations reaching north Mississippi relatively early in the year and eventually extending into Tennessee. In 2010, the southern part of Mississippi needed treatments starting in early June. Layton said protecting forage from fall armyworms can require a lot of spraying. Some producers make six or more treatments during heavy fall armyworm years. Layton said there have been significant improvements in the treatment options available in recent years. “Many of the new products are cheaper, more effective, provide longer residual control or have more favorable preharvest intervals than the products we have traditionally relied on for fall armyworm control,” Layton said. Rick Simmonds, a producer in Noxubee County, said armyworms have been at near-record levels on his farm. 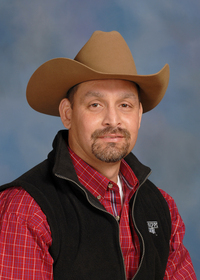 Extension forage and grazing systems specialist Rocky Lemus said the armyworms arrived just as pastures and fields were recovering from the harsh winter. Adequate rainfall and warm temperatures have helped most pastures recover. Growers now are turning their attention to weed control and fertilizer needs. As the fall approaches and producers begin thinking about cool-season forages, Lemus said armyworms can be a problem in early-planted ryegrass or small grains. The recommended planting dates for winter annuals in southern Mississippi are from early September to late October. In northern Mississippi, winter annuals are sod-seeded in mid-September to late October. Producers can overseed warm-season grasses in the southern part of the state in November. For more information on forage production, Mississippi cattle producers have until Aug. 17 to register for MSU’s pasture and forage short course. The Aug. 24-25 workshop costs $100 per person or $75 each if two or more people from the same farm or organization attend. The fee covers meals, training sessions, the Mississippi Grazing Manual and other educational materials. The event will be held at MSU’s Bost Conference Center. 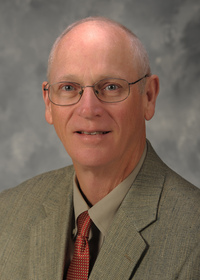 Program topics include nutrient cycling in pastures, weed management, economics of grazing systems, legume management, hay production and quality, grazing systems, animal nutrition, fencing demonstrations, and sprayer and drill calibrations. The short course will feature demonstrations and a trade show. Contact Lemus at (662) 325-7718 or rlemus@ext.msstate.edu, or Tammy Scott at (662) 325-2701 for more information. Contacts: Dr. Rocky Lemus, Dr. Blake Layton, Jr.